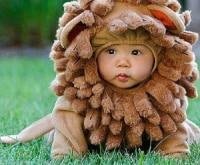 2014 was a year of fashion extremes with trends ranging from minimalistic norm-core to colorful faux fur. Now that 2015 has officially arrived, it’s time to learn from our mistakes and say goodbye to five of the worst fashion trends from the past year. Overalls may be a practical work outfit for days at the farm, but they somehow made their way onto the runways in 2014. Let’s face it. 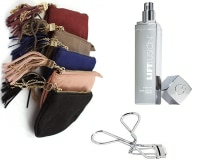 Even celebrities and supermodels can’t make this trend work for everyday life. While overalls will be making a departure from the fashion world in 2015, denim will be majorly trending. Trade your overalls for a new pair of designer denim jeans or a fitted denim dress. 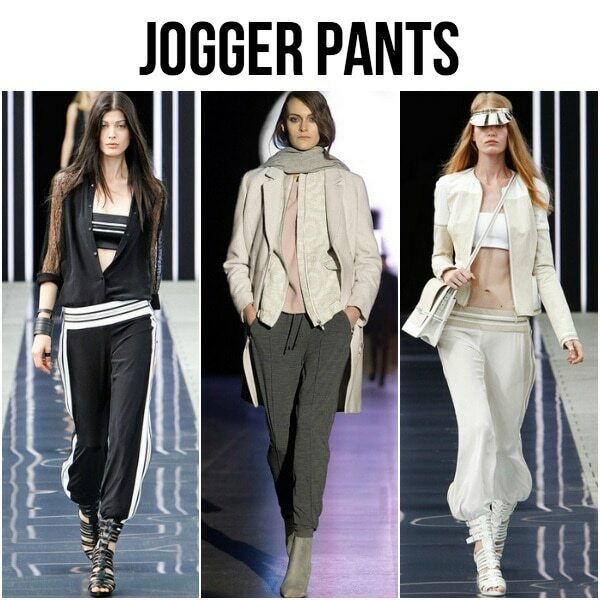 While jogger pants may be the closest thing to socially acceptable sweat pants, they’re truly unflattering on all body types. Unless you’re ever in need of an M.C. 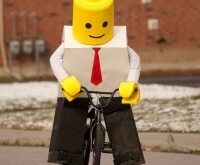 Hammer Halloween costume, it’s time to say goodbye to this trend forever. 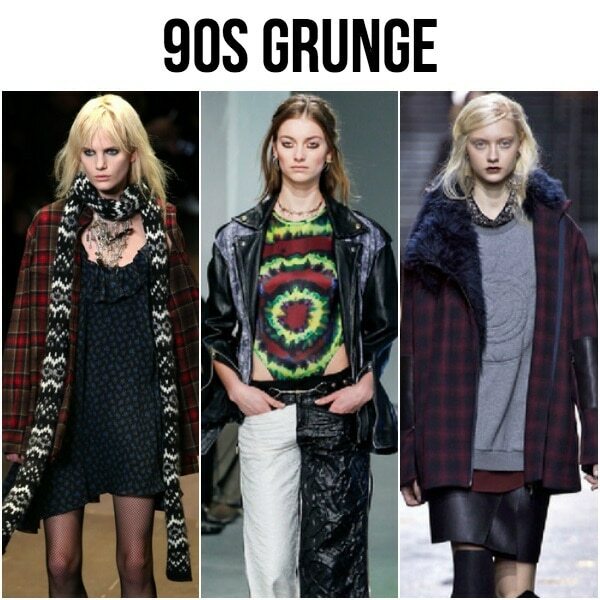 With young celebrities like Kylie Jenner embracing the ’90s look, grunge made a huge comeback in the fashion world this year. Throughout 2014, everyone was searching for the perfect baggy flannel and rosy brown lipstick, but the sloppy grunge look will be replaced with a sleeker silhouette in the new year. Shearling may be warm and cozy, but it’s time to put away the shearling-lined motorcycle jackets. Faux fur was one of the biggest trends of 2014, and it will continue to be popular throughout the new year; however, bulky shearling will be replaced with chic and minimal faux fur vests and jackets. Questionable fashion trends such as the ugly sandal baffle even the trendiest of fashion lovers. 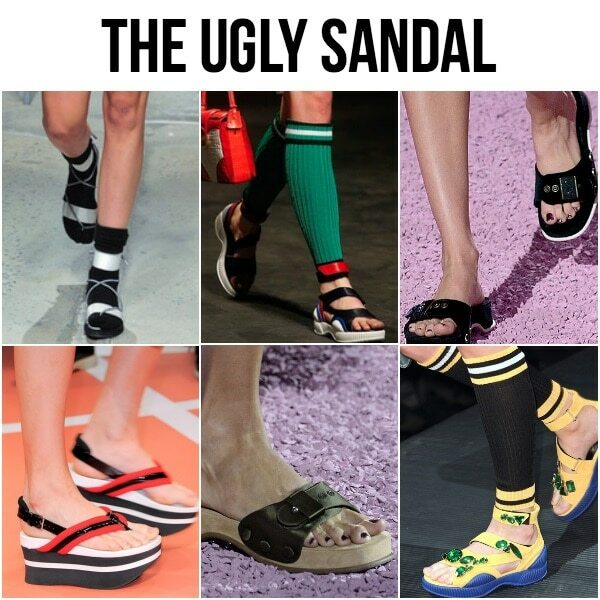 The ugly sandal may have graced the runways of haute couture designers such as Marc Jacobs and Prada this year, but it needs to be retired to the fashion graveyard in 2015. Trade in your ugliest sandals for a pair of modern platform heels in the new year for a stylish upgrade. Now that you’ve learned the five trends that you should say goodbye to in 2015, it’s time to see what you should be wearing instead! Learn the 5 fashion resolutions that every woman should make in 2015.